The annual Truckee Running Festival will take place Sunday, June 3 at Riverview Sports Park. Big Blue Adventure’s first running event of the season, the Truckee Running Festival, hits town this weekend, raising funds for Girls on the Run — Sierras. Girls on the Run is a nonprofit that works to encourage girls through interactive lessons, dynamic discussions and running games. 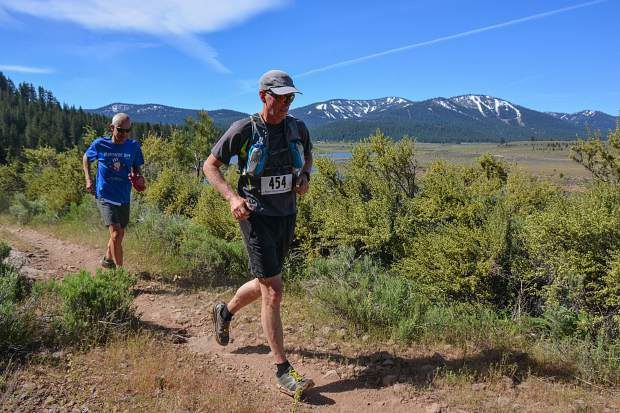 The Truckee Running Festival is slated to kickoff at 8 a.m. Sunday, June 3, at the Riverview Sports Park, and will include distances of a half marathon, 10-kilometer, 5-kilometer, and children’s race. Representatives from Salomon will also be on hand, demoing trail running shoes from 8 a.m. to 2 p.m. Roughly 350 runners are expected to compete across all disciplines, according to Rickards, with the event highlighted by the Waddle Ranch Half Marathon. The race takes runners on dirt roads and single track toward the Waddle Ranch Preserve and back to the finish line at the park. The race will also serve as the Road Runners Club of America California State Championship and is part of the Trail Runner Trophy Series. Registration for the half marathon is $70 and can be done at TahoeTrailRunning.com. The 5-kilomter race costs $45 and the 10-kilometer distance is $50. Online registration ends on Saturday, June 2, but there will be on-site registration available for an added cost on race day.